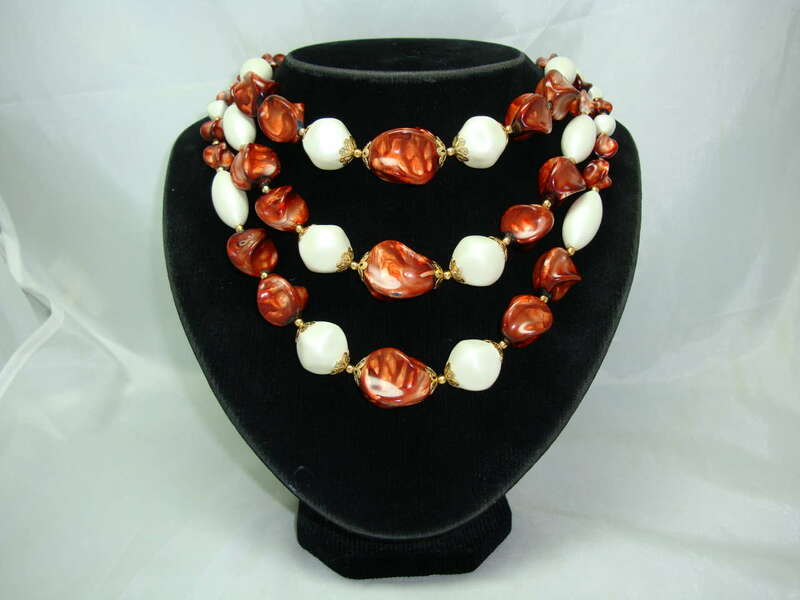 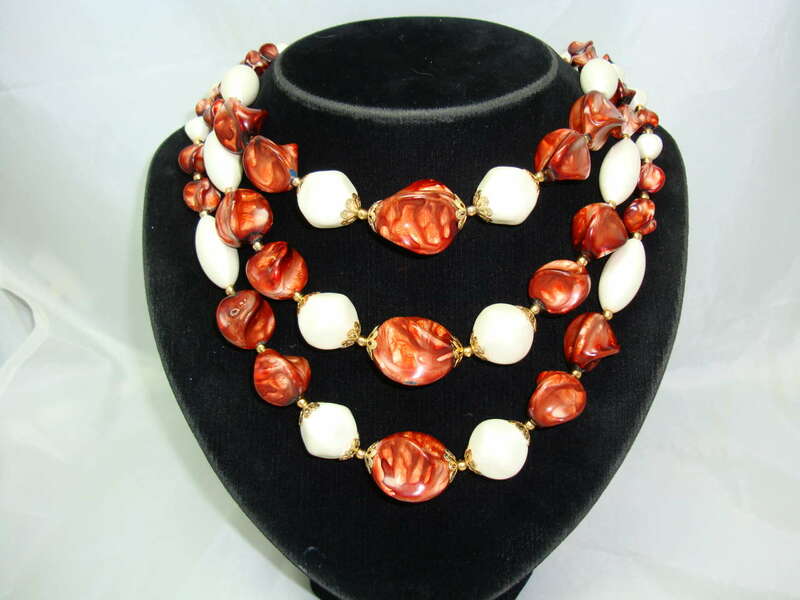 We are pleased to offer to stunning vintage 1950s chunky 3 row graduating brown marble effect lucite bead and faux pearl bead necklace which is just fabulous. 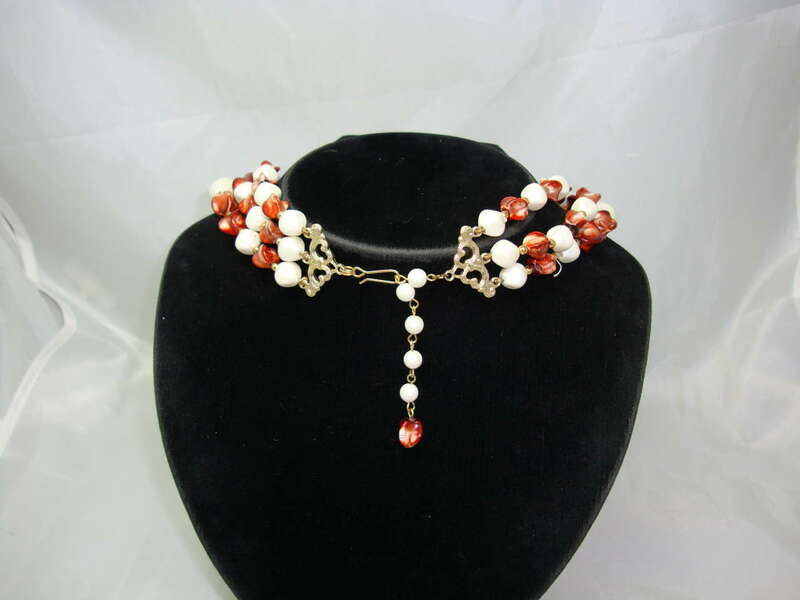 As you can see from the photos, the necklace is in excellent condition and looks amazing on. 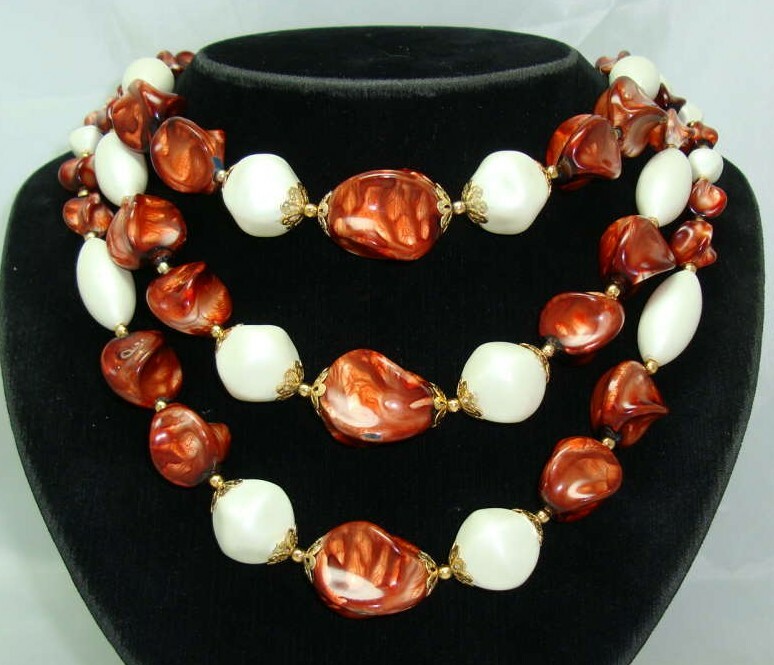 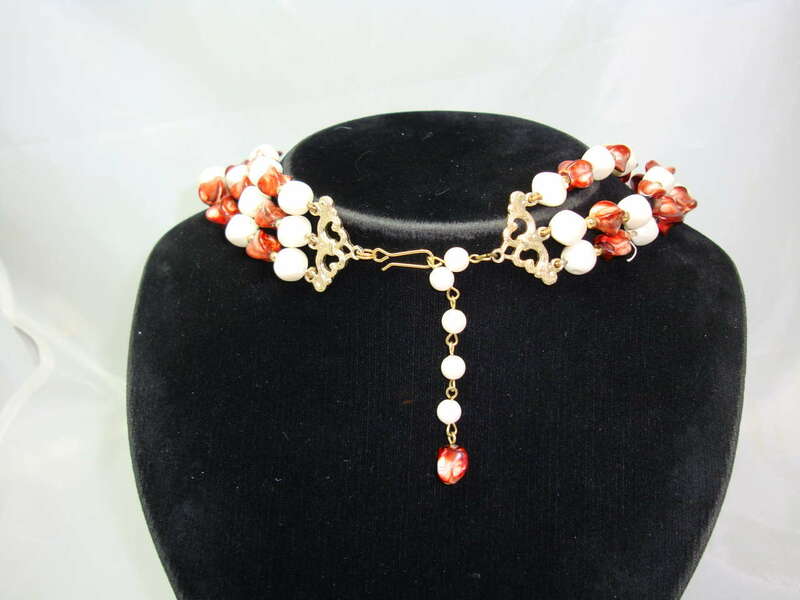 This really is a stunning vintage necklace, comes with 3 inch extender for extra length, great mixture of different shaped beads, very unusual and unique.